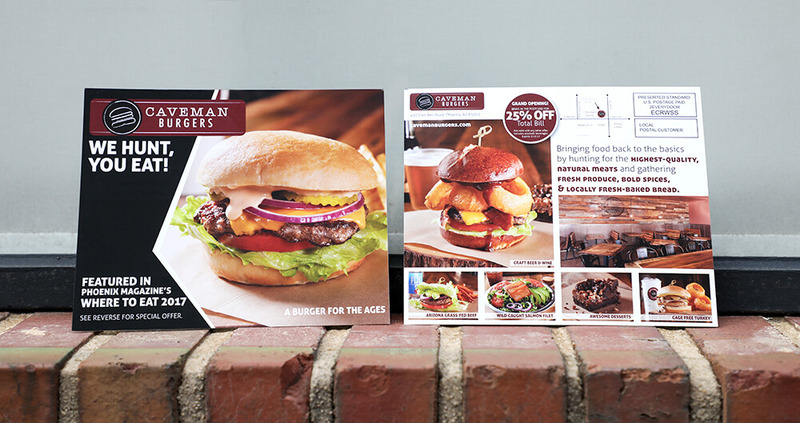 We offer premium custom postcards with a variety of options including Matte Finish, Spot UV, and Glossy UV coating. Postcards are often used by businesses today, as it’s an excellent way to promote a product, service or business information. Interested in postcard printing? They are offered in a variety of sizes and styles. If a postcard size is not available, the postcards can be customizable by filling out our custom order form. An eye-catching, graphic display combined with a message is an effective way to generate leads for any business. They are one of the least expensive forms of advertising. A direct mailing campaign can be implemented in a brief period of time. Postcard marketing can be used for all business types: lawyers, lawn service companies, real estate agents and restaurants, to name a few. They have been proven to generate more traffic to a website and bring additional foot traffic to local retail stores. They’re a diverse marketing tool. They can be used as flyers, newsletters or product brochures. A discount offer can be printed on them, allowing the postcard to be used as a coupon. They are sometimes described as an oversized business card and are another way to help brand a business. The ability to reach a targeted market is simplified by using them. Fewer advertising dollars are spent on people that are not interested in your product than if, for instance, you placed a newspaper ad. In addition, they make following up with existing customers easier and less time-consuming. They are nearly always read by the recipient since the message is in perfect view. In a recent study, 79% of professionals acknowledge that direct mail with postcards can be an effective or very effective marketing tool. Recipients don’t have to spend time opening it as with a letter. Postcard designs that provide vibrant colors or with attractive designs stand out, making it more likely to be read. There are also additional costs involved in folding and inserting letters into an envelope. These oversized cards actually don’t take up a lot of space and can be saved for later reference in a purse or hung on the refrigerator. Postcard mailing provides the best opportunity for having your message read. Also, these cards are the most cost-effective means of testing an advertising campaign. If a business has a new product that they would like to test the market, a postcard mailing will gauge the customers’ response without informing the competition. They continue to be a great way to test a specific product price range. A few of them can be mailed to determine the response rate at a given price. They can be used to test ad campaigns and several ad campaigns can be mailed and tracked by printing a tracking code on them. Having the customer provide the tracking code when they respond to the offer will help determine which ad campaign generates the most interest. In addition to printing business postcards, we also offer Every Door Direct Mail® postcards, a new USPS® program that gives small businesses an inexpensive way to reach local customers. Learn more by reading How Every Door Direct Mail Can Help Your Business.